If you happen to take a presentation skills class from me, you will often hear me mention the importance of having a pre-presentation routine. Why? Well, it’s been my experience that folks that have a regular pre-presentation routine tend to be more successful when they speak. And it’s not just speakers. Almost everyone that has a regular routine before beginning an activity are more successful. For example, look at professional basketball players. It’s not a coincidence that some of the most successful free throw shooters tend to have an exact routine they go through every single time before they shoot that free throw. They might bounce the ball a certain number of times, they might take a deep breath, they might even shimmy their shoulders like Kevin Durant—whatever it is, they have a regular routine that they do. It’s that regular routine that helps them be successful. As speakers and presenters, we should do the same. I’ve noticed over the years that my speaker anxiety is the highest in the first two minutes of my talk. 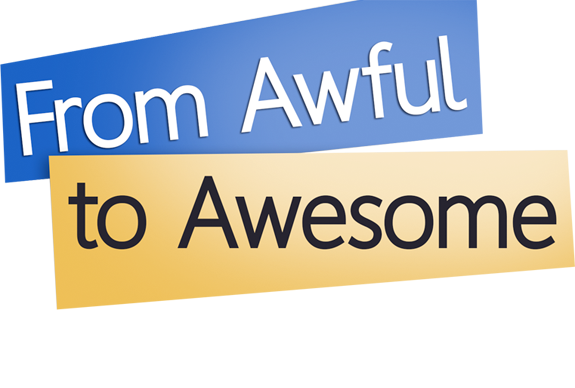 After those first two minutes, I tend to relax and get into the flow of my presentation. My pre-presentation routine is designed to get me through those first two minutes. Whether it takes you two minutes—two seconds—or two hours—(hopefully not that long!) to get into the flow of YOUR presentation, a pre-presentation routine can assist you as well. Let me share MY routine. I like to start 10-15 minutes before the presentation to get rid of my nervous energy. I try to find a secluded place and bounce up and down on my toes and do some shadow boxing for maybe 30 seconds. I then like to take five deep breaths—breathe in for five seconds, hold for five seconds, then breathe out for five seconds. The shadow boxing burns off that nervous energy, and the deep breathing helps me get centered. When I return to the meeting room, I try to greet the attendees as they enter. I want to have a connection with them, and there is no reason I can’t start building one even before the presentation starts. I also note anyone that seems receptive and friendly, because they are good people to engage your initial eye contact with at the beginning of the presentation. Thirty seconds before I start, I focus on my first sentence, and who I’m going to look at while I’m saying it. (Usually one of the receptive and friendly people that I identified at the beginning.) I take a last deep breath, exhale, and walk as confidently as I can to my speaking position, hit my spot, and then pause and scan the audience. I then look at my “friendly face” as I say my first line. I continue with my opening, and within that two minutes my nerves are no longer an issue. My routine may not look anything like your routine. That’s fine. Come up with a regular pre-presentation routine that works for you, and that allows you to get into the flow of your presentation as soon as possible. It can help you control the nerves—rather than the nerves controlling you. Have a pre-presentation routine! 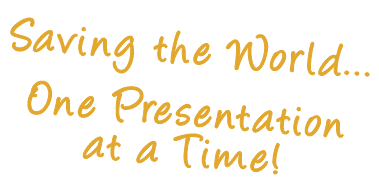 PreviousPrevious post:Pauses are Powerful!NextNext post:Public Speaking ~ Own Your Stage!